BBVA CEO Carlos Torres Vila addresses the Annual General Meeting of Shareholders at the Palacio Euskalduna in Bilbao, Spain March 16, 2018. 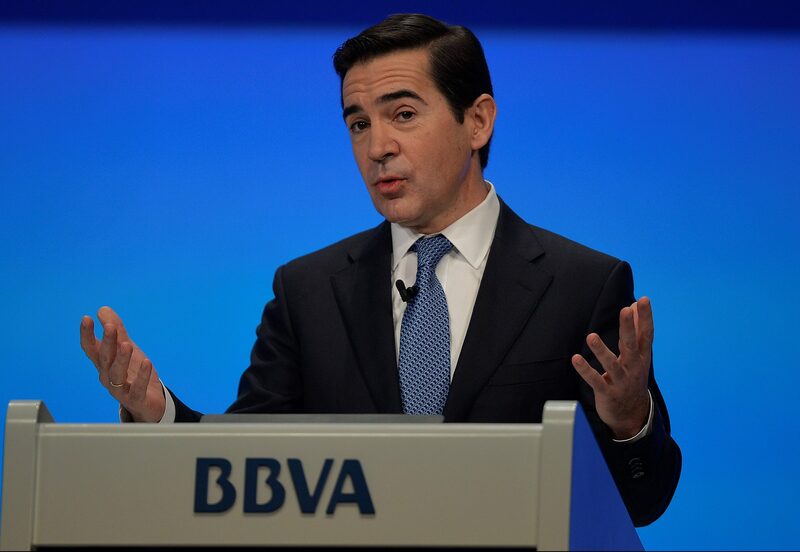 BBVA has appointed Chief Executive Carlos Torres to replace Francisco Gonzalez as the bank’s executive chairman, the bank said on Sept. 26. The appointment, which has long been flagged, will mean Spain’s second-biggest bank by assets will continue its shift from traditional retail banking towards a more digitally oriented lender. Torres joined BBVA in 2008 as head of strategy and corporate development, becoming head of digital banking in March 2014 and CEO in May 2015.